Goa is famous for temples as much as for its beauty, beaches and church. Goa is the only place where the temples have not yet become the centers of commercialization as that of other popular temples in India. Apart from this all Goan temples have excellent infrastructure for travelers, almost all temples have good maintained, moderately furnished guest house. Shigmo, the goan hindu festival of color is the main festival celebrated at this temple. The festival includes a week long celebration of colorful fair, exchange of gulal, collective meals, and presentation of shows on popular legends and folk culture are the main attractions. The unique feature of this festival is both Hindus and Christians together celebrate this festival in harmony. Damodar temple is situated at a distance of 22 kms from Margao and 8 kms from Sanvordem or Savude as it is called in local language. 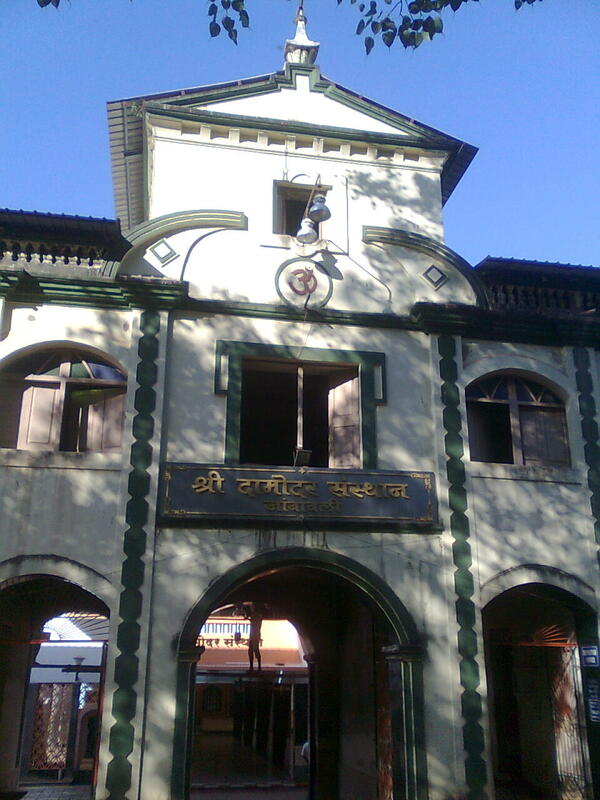 Direct buses are available from Savude frequently and rarely direct buses will be available from Margao. To reach temple one has to pass through the Tilamol circle, so if direct buses are not available from Margao or Savude, one can get down at Tilamol Circle and hire a pilot to reach the temple. Temple has an excellent lodging facility with nearly 100 rooms and available on request. Be sure that you reach the temple before 7’o clock in the night as the bus frequency is less in entire Goa after 7’o clock. Also temple has facility to have food in the temple canteen for free by taking coupon from the administrative office. Room rent is also very low, if you are only visiting the temple, then it is always better to stay in the temple premises than to spend thousands of rupees in outside private lodges. You can enjoy the sanity of temple. PS: Pilot refers to person with motor bikes who serve people to go from one place to another by charging a fare, similar to auto-rickshaw. Damodar temple is situated at a distance of 8 kms from Sanvordem..One has to pass through the Tilamol circle..
do all konkani people with the surname hegde have arya durga damodar as their kuladeva ? Many konkani speaking families having surname hegde are also having other God and Godess as Kuladeva. Not only Arya Durga Damodar.